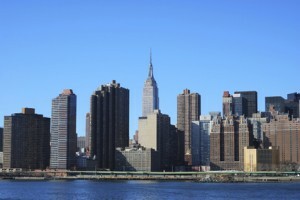 Xconomy: Can NYC Create an Infrastructure for Medical Device Startups? [Updated 1/22/13, 9:00 am. See below.] Xconomy New York has been chronicling New York City’s efforts to develop a welcoming environment for life sciences startups since we started, and we always come back to the same problems—the high cost of real estate, a small VC community, and the lack of a vibrant startup infrastructure such as can be found in Boston and San Francisco. But judging by the packed room at a Manhattan meeting Tuesday night focused on creating an ecosystem for medical device startups, there is clearly a lot of interest in changing all that. The meeting was sponsored by NYC Tech Connect, a public/private partnership started in 2011 with partial funding from the Partnership for New York City Fund. Tech Connect and the Partnership Fund both aim to foster science and technology startups in the city, and the meeting’s panelists agreed that medical device startups definitely need a lot of fostering, since this industry sector barely exists in the NY metro area today. What emerged most strongly at the meeting, however, is the critical role that New York’s hospitals can play—and some of them are particularly eager to help foster medical device startups. Memorial Sloan-Kettering Cancer Center is famous for its research in oncology drugs, and eight biotech startups have emerged from work done in the hospital’s labs. But Sloan Kettering wants to be known as a birthing place for devices as well as drugs, and last year started a special division of its technology transfer office devoted to medical devices, many of them new and improved surgical tools. That engineering workshop is particularly important, since medical device inventors can’t get anyone to invest in their great idea if they can’t actually hand it around. Arikha Moses, the founder of TYRX, a medical device firm in Monmouth Junction, NJ, and now entrepreneur in residence at The Vertical Group, based in Summit, NJ, listed all the hurdles facing anyone who wants to start a medical device company in New York. An entrepreneur needs to find design professionals, fabrication shops, a project manager to oversee the manufacture of the prototype, and of course, some angel investors. “The networks just aren’t in place here for all the initial resources need to get a startup off the ground,” she told the meeting. It doesn’t help that there has been a distinct lack of interest in medical devices over the last few years on the part of investors, angel or otherwise. PricewaterhouseCoopers reported in October, in its quarterly MoneyTree Report, that not only has there been a steady decline overall in funding for seed/early stage companies, but medical device investing has been particularly weak. A slowdown in the review times for medical device makers by the Food & Drug Administration, combined with a 2.3 percent excise tax on gross sales that medical device companies must pay, starting this January 1, under the Affordable Care Act, has led investors to shy away from the sector. According to the MoneyTree report, in the 2012 third quarter investment in the medical device sector declined for the third consecutive quarter, dropping 37 percent to $434 million—the lowest level since 2004. “It’s tough to figure out who’s going to pay for it,” he told the meeting. So how to make it better? The speakers at the meeting encouraged university and hospital tech transfer offices to take a much more activist role in nurturing the entrepreneurs in their midst, by providing many of the services Moses listed. Sloan Kettering’s Dash told me that the hospital is definitely stepping up its activities on this front, and sees medical devices as a very important focus for the hospital going forward. We are having an event focused on Medical Device startups in New York on May 22nd. Come on out and meet the crowd that this article and initiatives helped inspire. The events is called “The Rise of the Healthy Machines” and can be found on the Health 2.0 NYC Meetup group page.